Are you an empath? Do people tell you that you’re too sensitive? Do you neglect yourself because you’re taking care of everyone else? If so, you might be an empath and not even know it! An empath is someone who feels other people’s energy intimately and deeply–as if they are experiencing it themselves. 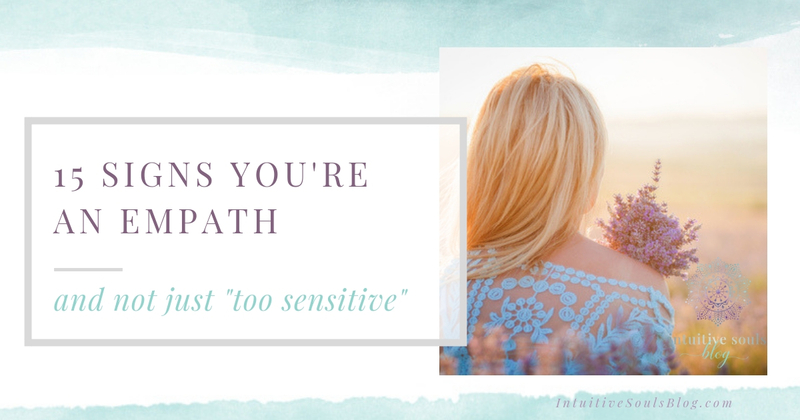 Being an empath isn’t a character trait – like having George Clooney charm – instead, it’s a psychic gift… we also refer to this as the gift of clairsentience. It can feel really hard for empaths to live in the world, because they are always “on”. It means that you can feel everybody’s “stuff” – the feelings (wonderful or icky), intentions, needs and woes of the people around you. You might even feel the physical pain of others, sometimes. I know, that’s coconuts! No wonder you feel like you need a nap, right? There are lots and lots of compassionate and empathetic people in this world. But being a psychic empath is different – you FEEL the emotions of others with your heart and soul. For example, you might be able to feel as if you are actually stepping into someone else’s aura and experiencing life as though you were them. You might be bawling your eyes out while watching a baby kitty get rescued on TV because you feel her fear. Then, you might cry some more when her human mama adopts her and showers her with love (and even gets her a little kitty wheelchair) because you feel how much love this woman has to give and how the kitty now feels safe. By the time the TV program ends, you realized you’ve cried through a box of tissues, feel exhausted, and decide to adopt two kittens and name them Sookie and Jason. Until empaths understand and learn to “close down” more often or protect themselves from being blitzed, it can feel like a curse, not a gift. 1. Know how people really feel – This goes way beyond normal intuition. Sure, your sister looks OK on the outside, but you can feel how afraid and uncertain she feels about her future and her jerk-head boss. 2. Are told you’re too emotional – or too sensitive or sentimental. Yes, I had to cry when my son was three and his best buddy wouldn’t talk to him. And yes, I HAVE to keep all of the ticket stubs from the concerts I went to in 1994, and Yes! I DO have to cry every time the animal commercial with Sarah McLachlan comes on TV. 3. Are told you’re a hypochondriac – You’re friend has a sniffle, you suddenly have a sore throat. Need I say more? 4. Ignore their own needs, because they are too busy taking care of others – This is au naturale for empaths, because they feel innately drawn to care-take of EVERYONE, even if they don’t really want to. But ignoring their own needs – physical, mental, and emotional – can take a MAJOR toll on their health and happiness unless they learn to make and take time for self-care. 6. May bottle up their own emotions – Although they listen to others, it can be like – hey, what about ME?! They may have trouble finding someone who will listen empathically to them when they need it, which increases the tendency to bottle up their emotions. 7. Always favor the underdog – and want to help those who can’t help themselves or who have severe limitations. 8. Can seem moody or like a Mr./Ms. Cranky Pants – Being an empath doesn’t mean you are going to be in an angelic mood all of the time. The shifting energy and emotions that you pick up from people and the environment can lead to energy overload, overwhelm and crankiness. But once you understand this gift and can channel it more effectively, you won’t feel as moody. These psychic protection methods can help, and so can these. 9. 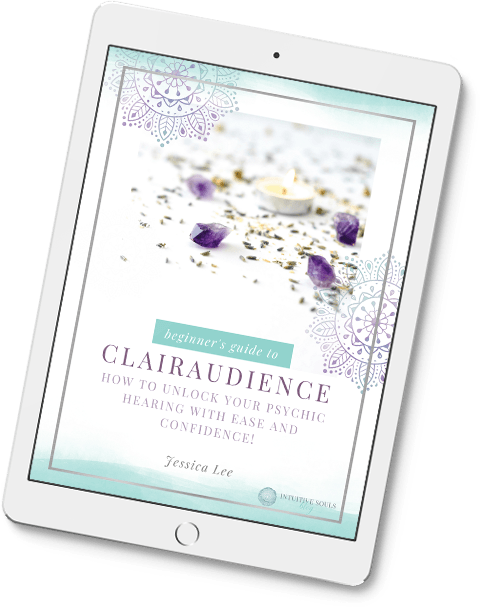 Experience many synchronicities and deja vu moments throughout their lives – Once they open up to these and see them as part of their essence and not just coincidence, more and more will occur – which is SUPER COOL! 10. Are fascinated by paranormal and metaphysical topics – Whether consciously or unconsciously, they are trying to understand their gift and why they are the way they are. They’re interested in stuff like intuition, tarot, mediumship, etc. Aha! That’s why I have 21 episodes of Long Island Medium on my DVR! 11. Have a deep love of the natural world – and find it soothing to be in nature, including around animals. Some can even communicate with plants and animals! 12. Feel tired a lot – especially if they don’t understand their empathic gifts. Empaths can even be misdiagnosed with neurological or immune system disorders. Again, self care is SO super important for empaths. 13. Need a great deal of time alone – they need quiet time by themselves to process and work out the constant influx of energy, overstimulation of being there for others and feeling everyone’s emotions and stuff. 15. Deeply desire freedom – They are free spirits who feel restricted by boring daily tasks like having to cook dinner, and make the beds. Anything that feels restrictive, such as routines or schedules, makes them feel miserable and trapped. Researchers say that approximately 20% of the population meet the qualifications of being an empath. These qualifications include the parts of the brain that deal with emotions and reactions being more developed, receiving more blood supply and responding more strongly to emotional stimuli. This is real brain-science stuff! Now that we have answered the question, “What is an empath,” you can see how people with this gift can feel overwhelmed. They know they are different from an early age and work hard to understand and deal with their gift. Do any of these traits resonate with you?